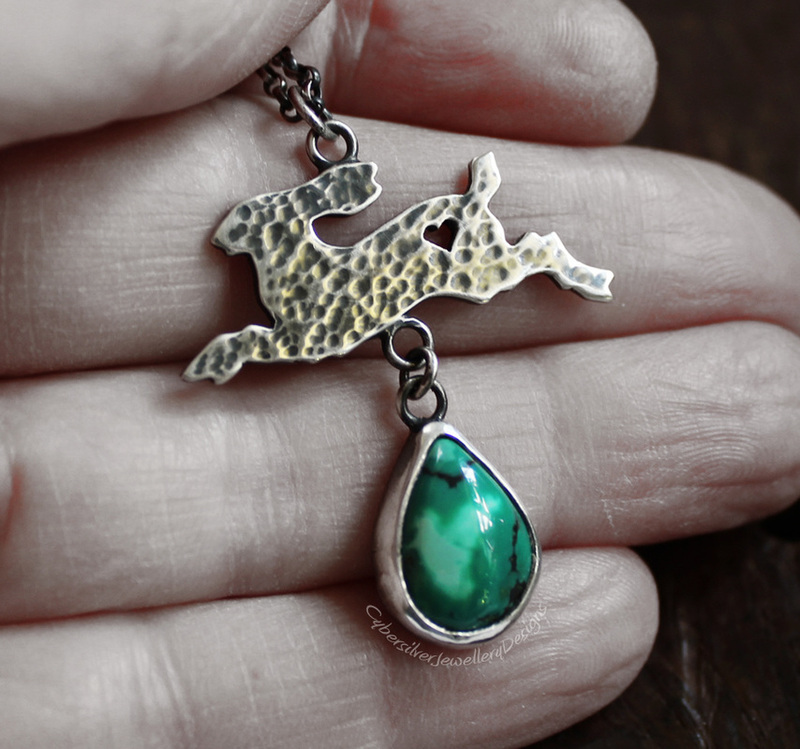 Hares and turquoise ....two of my favourites. This cute hare is hand pierced from thick sterling silver, textured and detailed with a pierced heart. 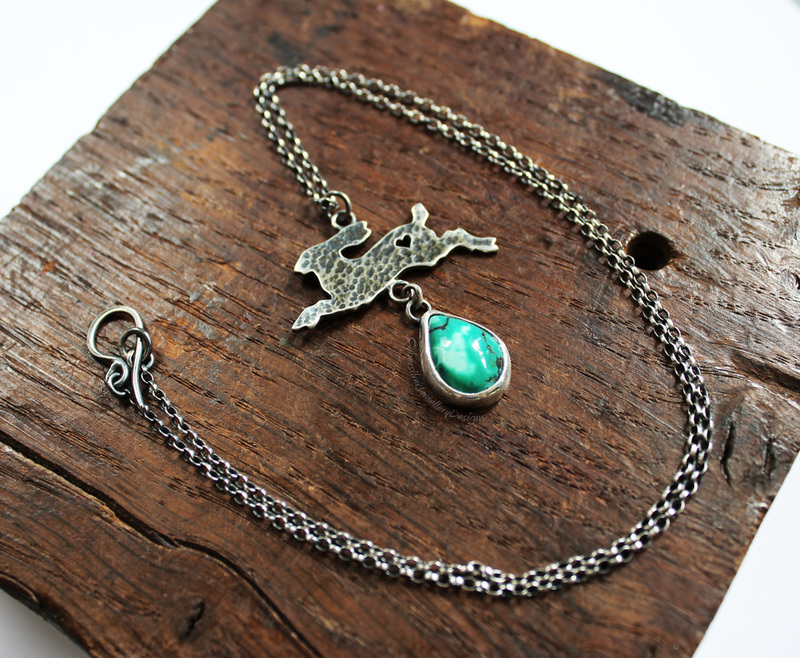 Beneath him hangs a beautiful turquoise drop in a thick silver setting. His sterling silver chain is oxidised and finished with a handmade clasp. The silver has been oxidised, highlighted and waxed with a microcrystalline wax to help protect the oxidised finish. Oxidisation is a surface treatment that can lighten with wear. Dispatched within 5 working days.